A student driven group on campus of the University of Nevada, Reno dedicated to promoting, supporting & defending the principles of individual rights, voluntary trade & peace. In order to continually accomplish these goals, they do this by providing educational and social networking opportunities for students who are dedicated and/or interested in their mission. 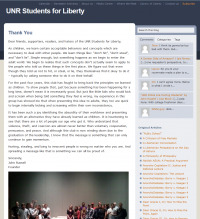 They introduce aspects of their mission as effectively as possible into the market-place of ideas by maintaining a visible presence on campus to contribute directly to the ideas of liberty and reaching out and uniting other organizations and individuals dedicated to the cause of liberty through networking and campaigning. Patty is a Certified Natural Chef with a Master’s degree in Holistic Nutrition. 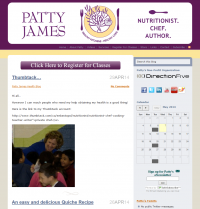 Patty was founder and director of the Patty James Cooking School and Nutrition Center, the first certified organic cooking school and nutrition center in the country. Patty closed the school in 2008 and founded DirectionFive Health, a non-profit culinary and nutrition program for kids and The Healing Kitchen: A Program for Veterans. Patty dedicates her time and expertise to consultations and education in nutrition and healthy cooking, locally and throughout the country, as well as in Canada and abroad. She created a superb teaching aid known as the Patty James Health Guide, a guide to life-long healthy eating and lifestyle and is the co-author of More Vegetables, Please! 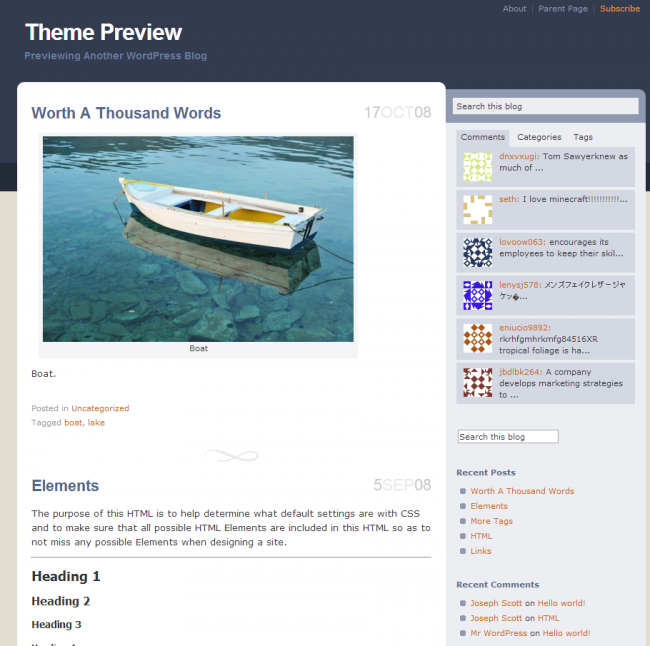 Sometimes authors are looking for quotes, information, personal stories & so forth from every day people just like you. By helping them out and answering an easy question they will give you credit for it in a published book or ebook! Here’s how the Your Answer In A Book website works. 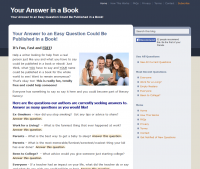 They ask a bunch of different questions and you may answer as many questions as you want that apply to you. There isn’t any “right” or “wrong” answers to these questions. There also isn’t any specific type of answer that anyone is looking for. They just want honest answers based upon your own personal life experiences.